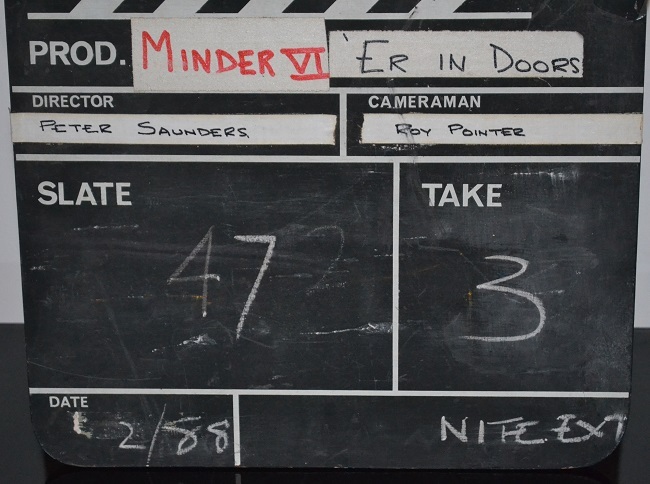 Minder 'Er Indoors' Clapperboard Very rare collectors item. 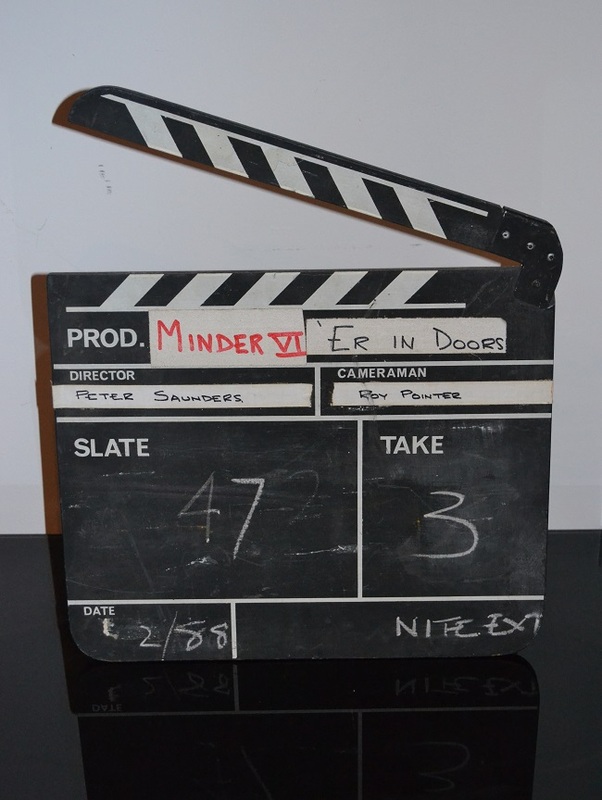 Original 1988 clapperboard from the classic ITV series from the iconic 1988 episode 'Er Indoors. Very rare collectors item. 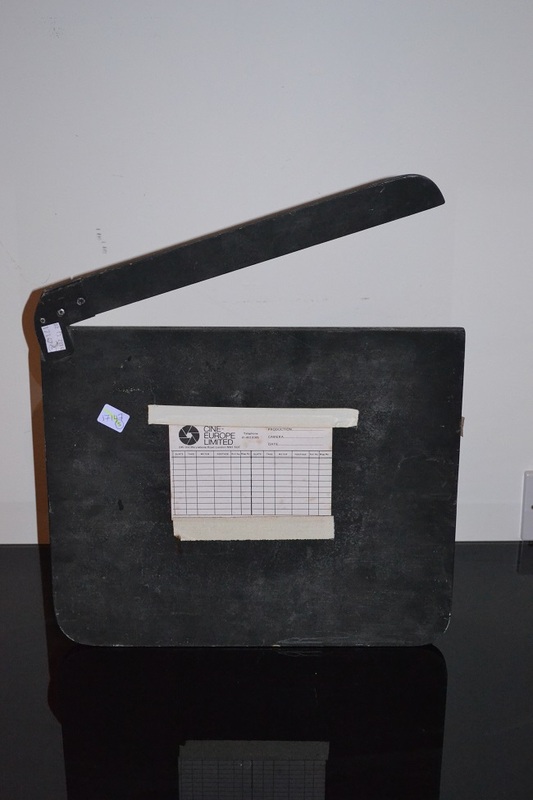 Original 1988 clapperboard from the classic ITV series from the iconic 1988 episode 'Er Indoors. 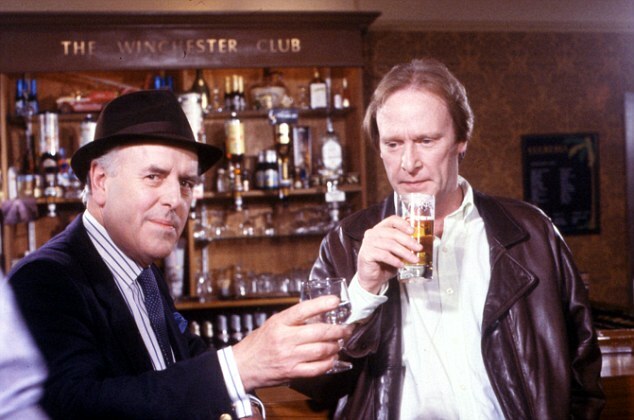 Original 1988 clapperboard from the classic ITV series from the iconic 1988 episode 'Er Indoors. Approx dimensions 15 1/2" x 13"
1) This item is part of the archive collection of Roy Pointer, former production crew member and cameraman for Euston Films, a subsidiary of Thames Television.